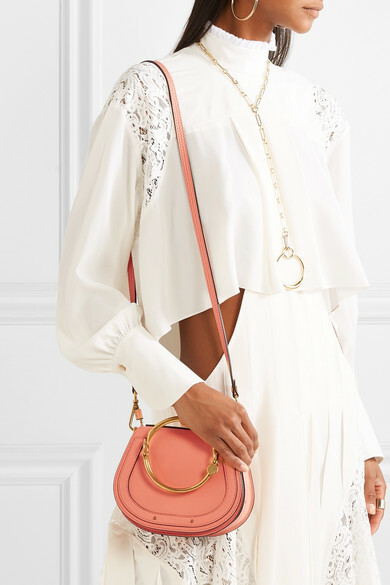 We're not the only ones who can't get enough of Chloe's 'Nile' bag - since it debuted in 2017, it's been spotted on everyone from Olivia Palermo to Chrissy Tiegen. 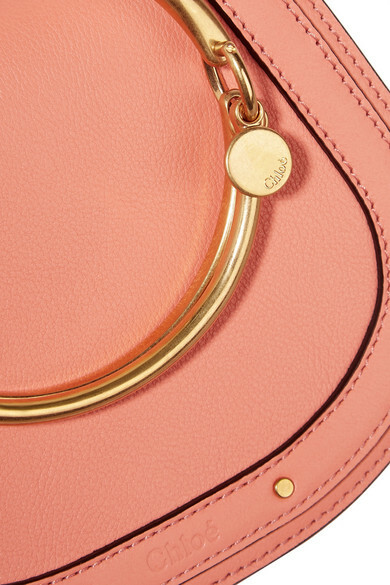 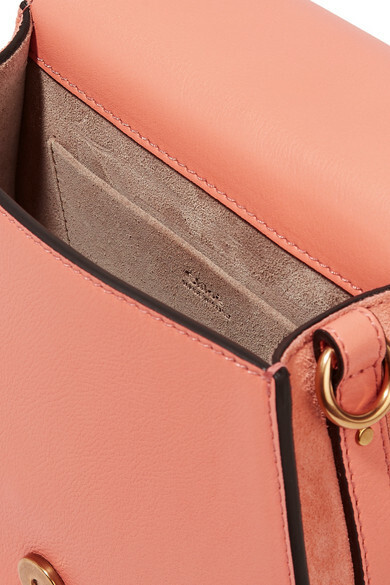 Updated in a vibrant peach hue aptly named 'Canyon Sunset', this small version has been crafted in Italy from smooth leather and suede and opens to a compact interior that's sized to stow just the essentials. 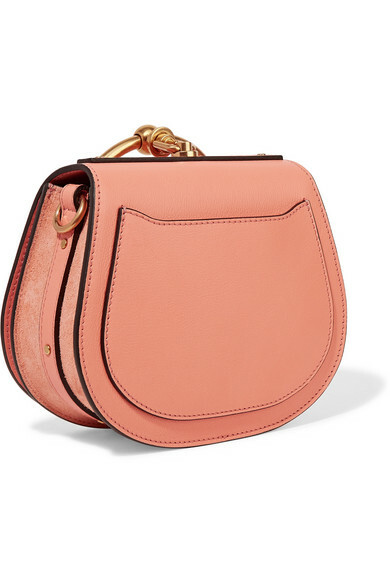 Carry it in-hand by the bracelet-inspired top handle or attach the shoulder strap to drape it cross-body. 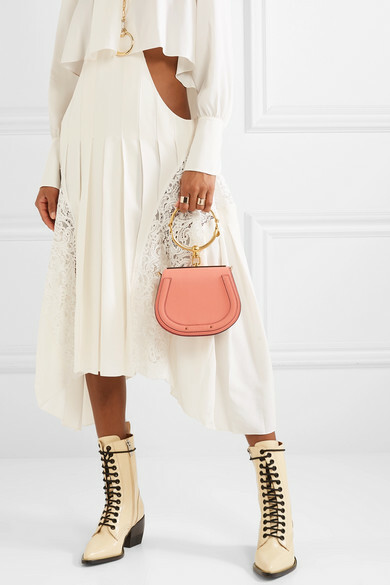 Shown here with: Chloé Dress, Chloé Ankle boots, Chloé Necklace, Chloé Earrings, Jennifer Fisher Ring.